Last weekend, two high school student swimmers went head-to-head in the Washington State Senior Championship. Junior Kasey Kirschling and senior Lucas MacLeod competed in the championship on Saturday, Dec. 15 and Sunday Dec. 16. Both beat personal records and gained points for their respective teams. Each of the students competed in the senior age group. Kirschling has been swimming since he was eight years old. He was first inspired to join the swim team after watching a portion of their practice. Kirschling was watching the swim team practice and asked his mom if he could join the team. “It just seemed like a neat idea at the time,” Kirschling said. This year, Kirchling aimed to make it to a championship. Kirschling qualified for and represented his team, the Vashon Seals, in the 50-yard breaststroke, 50-yard butterfly, and the 100-yard freestyle stroke. At the championship, Kirschling achieved a personal record in the 100-yard freestyle with a 53.08 second time. “[Swimming has] always been a constant drive to get better,” Kirschling said. Kirschling places importance on setting goals. This year, he wanted to reach state for any event he could, and his success is largely due to his motivation. “It really dawned on me that if I wanted to see a result I would have to put the work in — simple as that,” Kirschling said. Kirschling’s work also paid off in another way — he was made this year’s team captain. 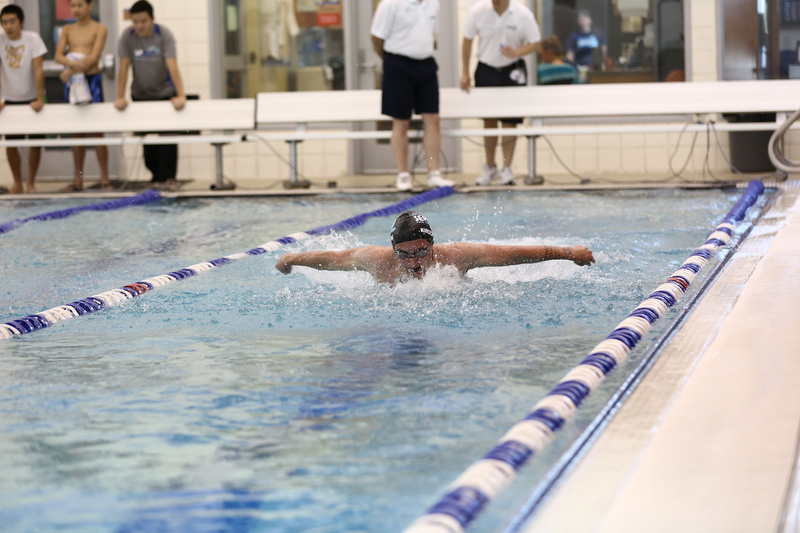 MacLeod has seen similar success in his swimming career. He qualified for state in the 100-yard backstroke, 50-yard backstroke, and 100-yard freestyle stroke. MacLeod’s best performance at the championship was swimming the 100-yard backstroke in 55.05 seconds, which was a meet record. His mother’s influence as a swimming coach prompted him to begin the sport at the age of five. However, at the beginning of high school, he took a three-year break from competitive swimming. After his hiatus, MacLeod worked to further develop his skills. Just before senior year, MacLeod decided to get back in the pool and work to advance his skills. This dedication made it easy for him to return to swimming. “Fitness is going to be a part of my life no matter what, and realizing that when I came back into swimming … is the motivating thing,” MacLeod said. MacLeod is currently swimming for Seattle Metropolitan Aquatic Club (SMAC) after switching from the Vashon Seals a month ago. In the future, MacLeod hopes to pursue swimming at a collegiate level. “My main goal is to swim in college — whether it be D3 or D1, it doesn’t matter,” MacLeod said. Throughout their years in the water, both state swimmers have learned to appreciate the sport, valuing the unique qualities the it has to offer. “In the pool, the only one who can truly influence your performance in yourself. It’s not like a team sport where you need depend on others, … and that is something about swimming I really appreciate,” Kirchling said.